Wordy Wednesday-Please Don’t Eat the Daisies! 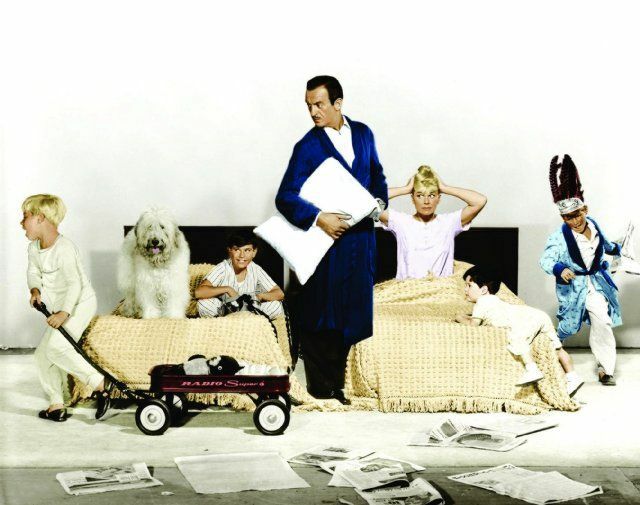 The movie is based on the book by the same title, which is a best-selling collection of humorous essays by American humorist and playwright Jean Kerr about suburban living and raising four boys. I have yet to read the book, but it is on order from Amazon as I type. I will let you know what I think once I get my hands on it. I bet it is funny. And I tend to like humorous essays. Levity and brevity-that’s a winning combination. 1) Boys, boys, boys. 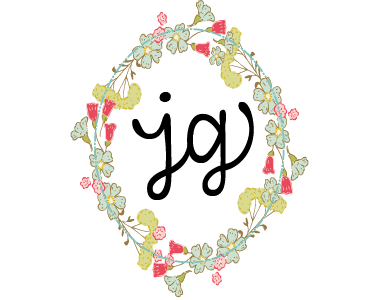 This is a home full of boys and their adventures, pranks, and noise. I may only have two, but I swear they do the damage of 4. 2) Old English Sheep Dog who thinks it’s a lap dog. Yep, I have one of those. 3) Chenille Bedspreads. OK, those may not have been in the movie but aren’t they great? I love seeing vintage things I love so much now, back when they were new and modern. 4) Doris’ character wants to move to the country and fix up an old country house. Hmm… that sounds familiar, no? Of course I also love Doris’ wardrobe throughout the whole movie-especially all the shirtwaist dresses, and her party dress at the very beginning of the movie. So classic American chic, but not very reflective of my style. Sadly the shirtwaist is neither flattering nor easy to come by for me, and long, tight black evening gowns have no place to go beyond my closet. 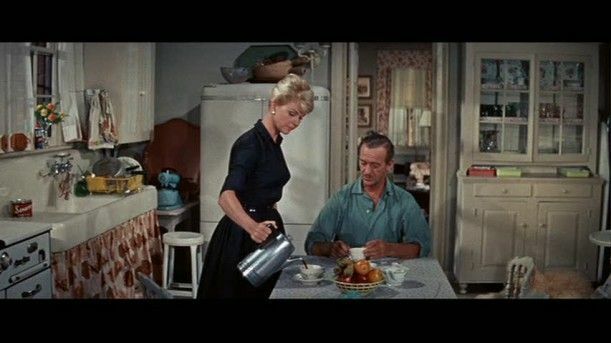 But oh how I love Doris’s kitchen, it is my favorite room in the whole movie. I want to move in tomorrow. 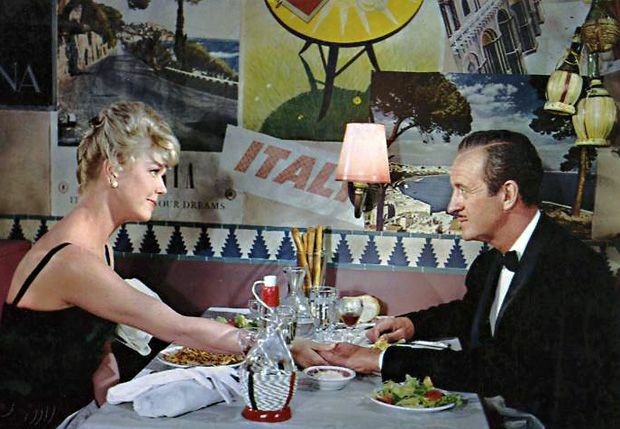 I also love the old school Italian restaurant they eat in. There is one very similar in a nearby town and every time we eat there I feel as if I have landed in a 1950’s, Hollywood version of New York, right down to the candles in old wine jugs . 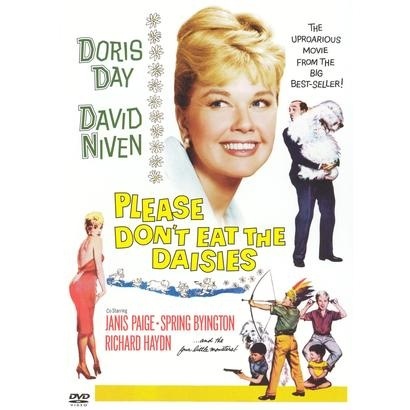 If you have never watched Please Don’t Eat the Daisies, check out the trailer- which itself is campy, and fun, and silly. All nice things to interject into your life if you feel yourself becoming to serious about most everything else. I promise. I need to watch this, I do own the book! How does she get the black slip straps to just go away?? ?I think the reality is that once she gets zipped into the dress, there was no slip and no bra.. Love the starlett- quoted as being 29- “I HAVE been!” Spring Byington tells Doris to get her act together and pay attention to her man…how many times I tell myself to do this in my head. A white living room with this crew?? But Dad(David Niven also needs a spanking for being such a brat. Love the baby genius that picks his locks- Poo-kee!!Ooh-kee!! Love, Auntie T.
You will probably love it! Or at least Doris. The Dad is a little less warm and fuzzy. Ah the magic of movies! And yes, David Niven's character is a bit of a drip. But I love the rest of them! I haven't seen the movie, but I expect it's at least a little different from the book. 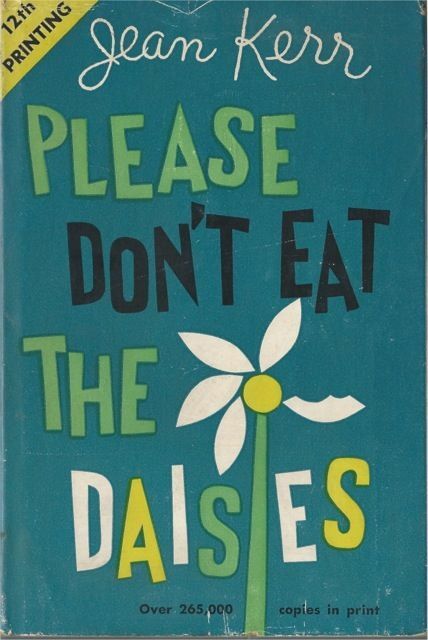 However, if you like the Cheaper by the Dozen books, or Life Among the Savages, or Erma Bombeck, or even Peg Bracken's cookbooks, you'll enjoy reading Please Don't Eat the Daisies! One of our favorites! Now our grandkids love it…some things just never grow old! 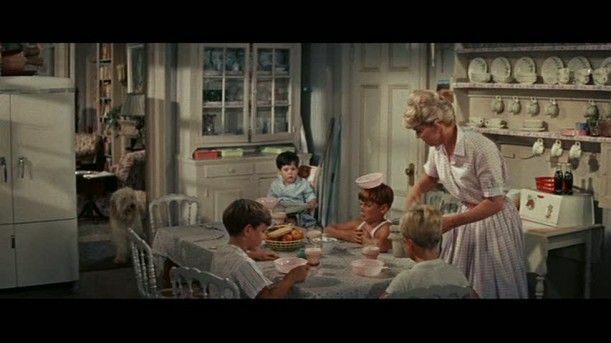 I am a HUGE Doris Day fan & loved Cheaper by the Dozen! Love this movie! She's so glam for their nights out in the city, pragmatic with the kids, and adorable in her pedal pushers at play practice. Her mom was a hoot. Farm house = to die for. Would have liked to have seen her cast with an actor with whom she had a bit more chemistry, but still, a classic. Yes, there isn't really a “spark” with her and Nivens, but the rest of the movie is precious! Congrats Deb!! I hope you enjoy it all : ) Don't hesitate to let me know if you have questions about the recipes you try! I read Cheaper by the Dozen but never watched the movie, now this is in reverse, Isn't that funny? Can't wait to read it!